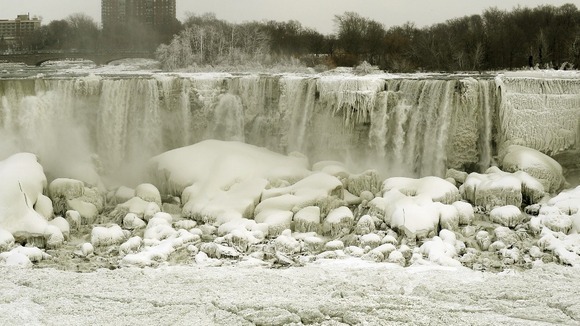 As the world bickers as to whether the depth, frequency, date of arrival, or peristence of the polar vortex over Canada and North America has been affected in any way by global warming/climate change, there’s little doubt that a cold world can also be a very pretty one. 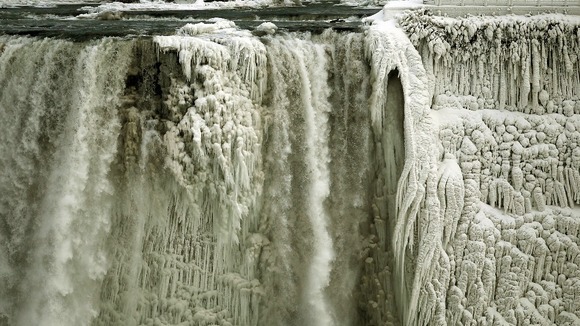 These astonishing shots of a partially frozen Niagara falls were taken from the Ontario side of the falls. 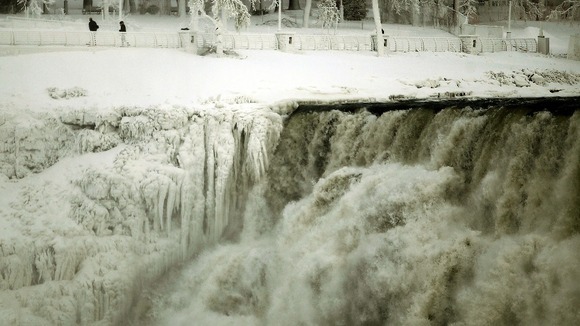 They show how some of the torrent of water has been changed, instead, to icicles. Meanwhile, I can report it is a balmy 31 degrees Celcius in Melbourne today, as it was yesterday, and getting hotter next week. Our swimming pool is clean and leaf free, surf’s up, the beaches are vast and inviting, and the beers are always cold, so if you can get a flight out of your frozen local airport, you know what you should do. Beach radiation levels soar in California – Fukashima?